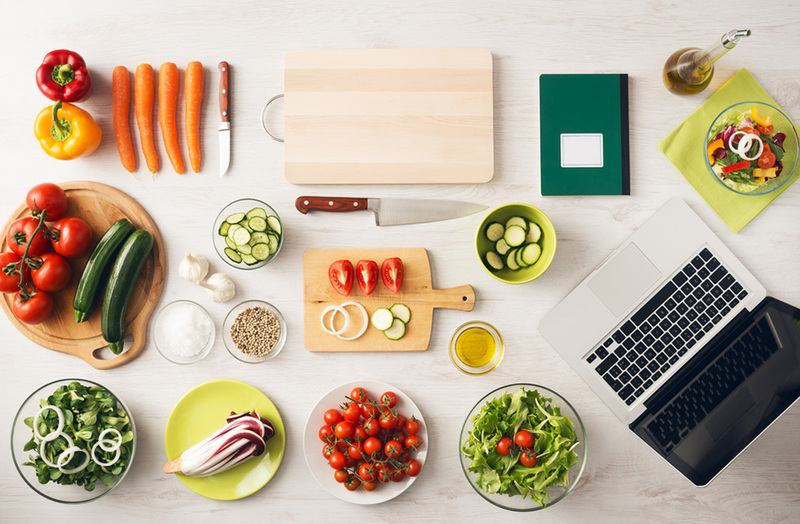 Knives are one of the most important tools you can have in a kitchen. They can be used to chop, slice, fillet, debone spread and even carve. They’re so useful that there are hundredths of differently shaped knives out there, each meant to fulfill very specific needs. Because knives are so important, it’s crucial to keep them in top-shape, and one of the ways you can do this is by sharpening it whenever you notice your knives have lost their edge. While there are stores that offer to sharpen your knives, you can do so from the comfort of your home safely and perfectly. You just need the best sharpening stone. Also known as water stones or whetstones, sharpening stones are stones used to sharpen steel tools, such as razors, scissors and knives. Whetstones have been around for thousands of years, and while their design has changed considerably, they’re used almost in the same exact way as our ancestors used to use them, which means that whenever you use a water stone you’re getting in touch with your roots. With so many different types of whetstones available, all of which boasts different properties and advantages, it’s easy to feel overwhelmed. 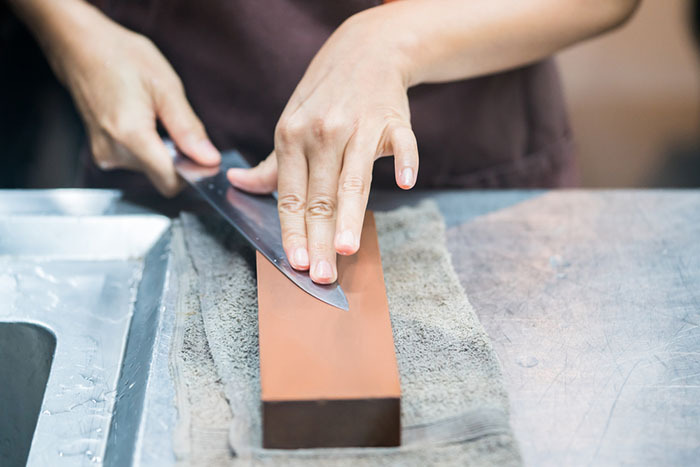 Knowing what to look for is crucial in order to get a sharpening stone that you can use for years, which is why we’ve written this short guide. Sharpening stones come in various sizes, with 8” being considered the average for kitchen knives and smaller stones, that go from 3”-6” inches, being reserved for toolboxes, scissors or on-the-go activities. Larger stones allow for longer, more detailed strokes which not only makes the job easier but also faster. However, if your tools are too small and require a more detailed sharpening, smaller stones might do the trick better. Keep in mind the average size of the things you plan on sharpening and go for a stone that’s at least that size, as length will help you guide your strokes while simultaneously sharpening your knife. Simply put, some sharpening stones require a lot more maintenance and work than others. Some are basically ready to go from the moment you get them out of the box while others will require a generous amount of flattening, soaking, lubricating and cleaning, which might be too much for someone who doesn’t have the time to do that or simply doesn’t know how to do it. Of course, the stones that require more work are often better than the generic ones you can get, but what good does better does for you if you’re just an average person trying to sharpen his or her knives. As you can imagine, whetstones also come in a variety of prices, which means that you should always take into consideration your budget so you can limit your search to the stones you can afford. Note: Do keep in mind that “affording” doesn’t mean going for the cheapest. 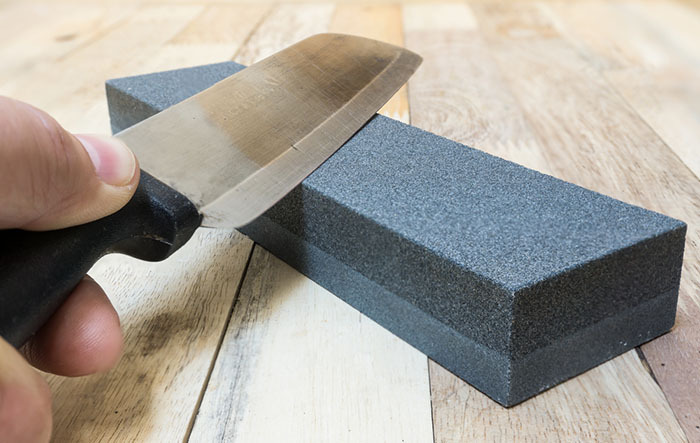 Sharpening stones can last for years if you treat them well so don’t be afraid of investing in them. Unless you own a large collection of knives that require various whetstones, chances are you won’t be needing more than a couple of sharpening stones. 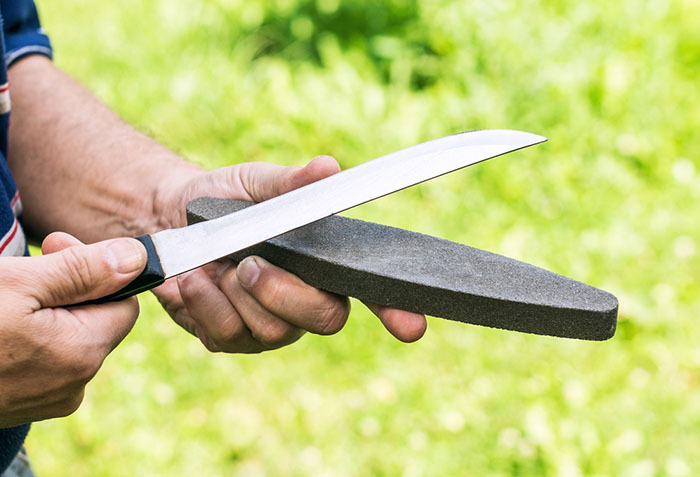 Because of this, you should always try to purchase a stone that will help you sharpen your current knives and any knife that you might have in the future. Look for a sharpening stone that can tackle the average knife and don’t pay attention to those who seem designed for a specific brand or kind of knife. Also, while you’re at it, try to purchase two whetstones with different grit or one that offers two in the same stone. A coarse stone will do all the heavy lifting when it comes to sharpening. It’s the first step and, if you need to choose a single one, the one you should stick with. A fine stone will help you detail the sharpening, increasing not only the sharpness of the blade but also the cut quality. While getting two sharpening stones isn’t necessary we encourage it if you have the budget, so keep it in mind! Now that you know what to look for in a sharpening stone, it’s time for you to make a choice. Don’t worry, though. 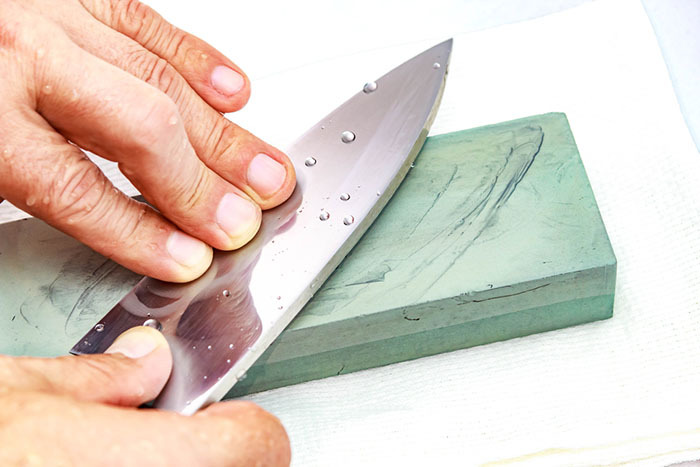 You won’t have to go out and explore the hundredths of options out there, as we’ve compiled a short list of the best sharpening stones you can get online. You’ll find that this beautiful and stylish whetstone often appears in this kind of article and that’s for a very good reason. With two sides that offer two different grits, 1000 and 6000 respectively, you bet this sharpening stone will give you very, very good results. Made in Japan, you can tell this stone was made with sushi knives in mind but, trust us, it can work for just about any kind of knife, thanks to its generous size and its carbon and steel construction. It comes with a neat looking plastic stand that adds safety to the sharpening process and thanks not only to its affordability and durability but also to the fact that it works with water and requires very little maintenance, it’s a perfect tool for beginners. All that said, this stone isn’t perfect for really dull blades, and it’s better suited for maintenance than to give life to an old knife. 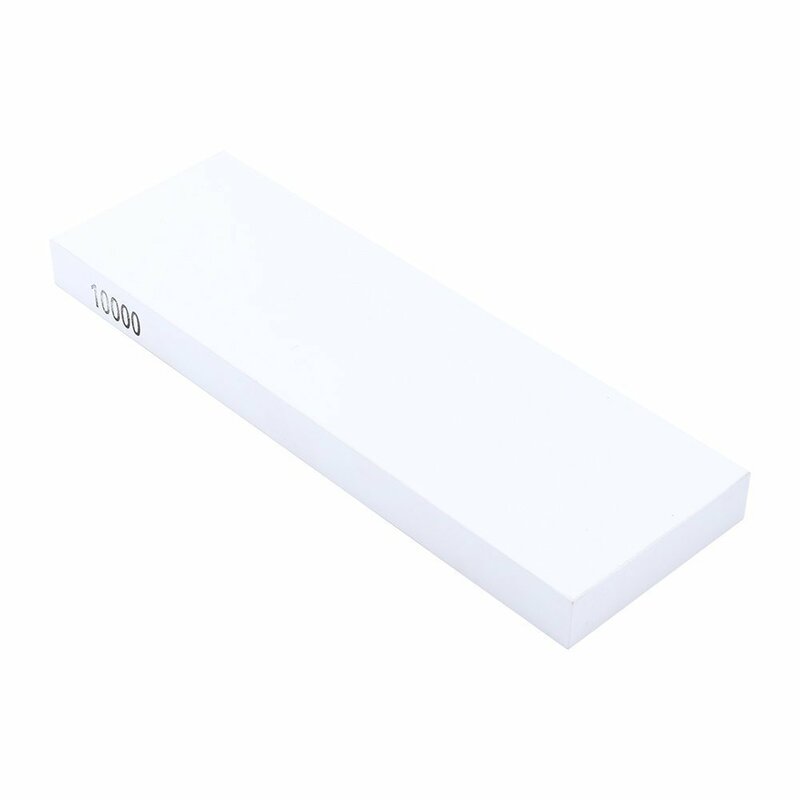 Measuring around 7” in length, this stylish sharpening stone is as reliable as it is beautiful. It’s two sided, which means it boasts two different levels of grit (600-1000), making it perfect for those of you who want to sharpen their knives to perfection. 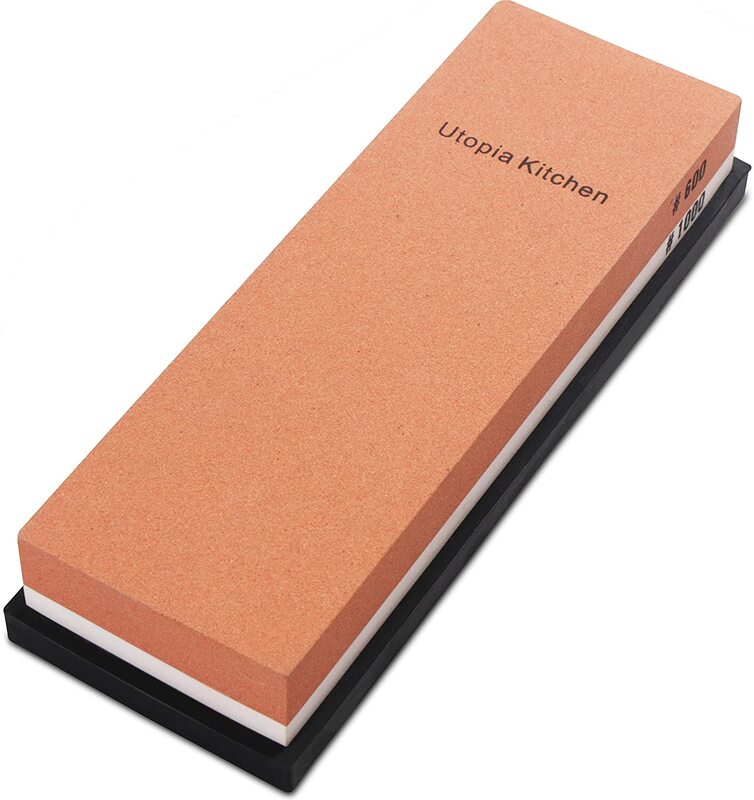 Made with corundum, a reliable and relatively lightweight stone, this whetstone can be used with various types of knives, included ceramic, and was built with a nonslip bottom that ensures it stays in place while in use, which is something you definitely want. While the fact that each side has two colors and a stamp indicating the coarseness certainly makes things easier, it also makes the stone look / get dirty way more often than plainer stones, which we’re counting as a con. The fact that these are two stones glued together does mean that, while both sides work great, it might fall apart after a while, but it’s nothing you can’t fix yourself. That said, this stone works with water instead of oil, which makes it not only easier to use but also longer lasting, so it’s a purchase we’re more than willing to back. This model is perfect for beginners, thanks not only to its generous size and versatility but also to the fact that it doesn’t require a lot to get going. It also has two sides with different coarseness (240 and 150 grit), which means that you’ll be able not only to sharpen your blades but also to give them a finer edge than if you only had a single stone. Sturdy and very well made with a non-slip base, this stone will stay in place while in use, making it safer for the user. While it’s not the largest whetstone around, its average size makes it perfect to sharpen a variety of things, such as knives, scissors and even some tools, though it might be tricky to sharpen the later. This stone works with oil (you need to submerge it for about a minute) which isn’t mentioned in the instruction manual, but once you get that out of the way you’ll have a high quality and reliable whetstone for your projects. 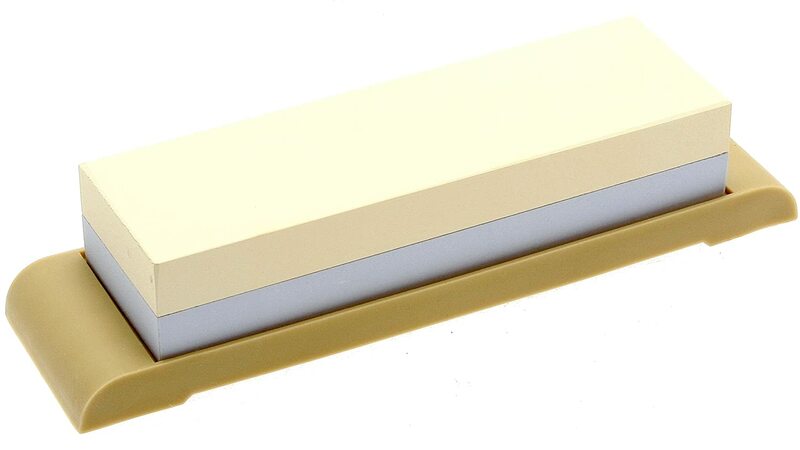 You just can’t doubt Japanese quality and this beautiful sharpening stone shows you exactly that. It’s rather compact, which can be a problem for some particularly large knives but is perfect for those of you who are looking for a sharpening stone they can take with them anywhere they go. It’s a little more expensive than similar stones but the quality is quite good and the small size makes it perfect for sharpening pocket knives, scissors and other small blades. It is dual grained, with both 1000 and 3000 coarseness, which means that it’s perfect to maintain your blades in good shape but it won’t return a dull blade its sharpness anytime soon. It comes with a rather dull looking but practical plastic stand that helps keep the stone in place, a must whenever it comes to sharpening knives. All of this makes it a great choice for hunters and fishermen, as well as people with experience with whetstone, but not quite for beginners, as the small size may cause accidents if it’s your first time sharpening a knife. Great for sharpening thanks to its 1000 and 3000 grit. Very small. As in, probably smaller than you imagine. It kind of looks like butter… not sure why that’s a con, but it is. With a grit of 10000 you simply can’t beat this sharpening stone when it comes to fine and sharp edges. It might not be able to return to live old and dull blades, but the still working blades you’ll have? They’ll be turned into actual weapons, capable of slicing through just about anything with a precision you can’t even imagine. While simple, it boasts an elegant design with a beautiful white color, as well as an anti-slip silicone stand that’s perfect to keep things safe in the kitchen. While it looks fantastic, scratches and dirt do show up quite easily so it might not look this beautiful for long. 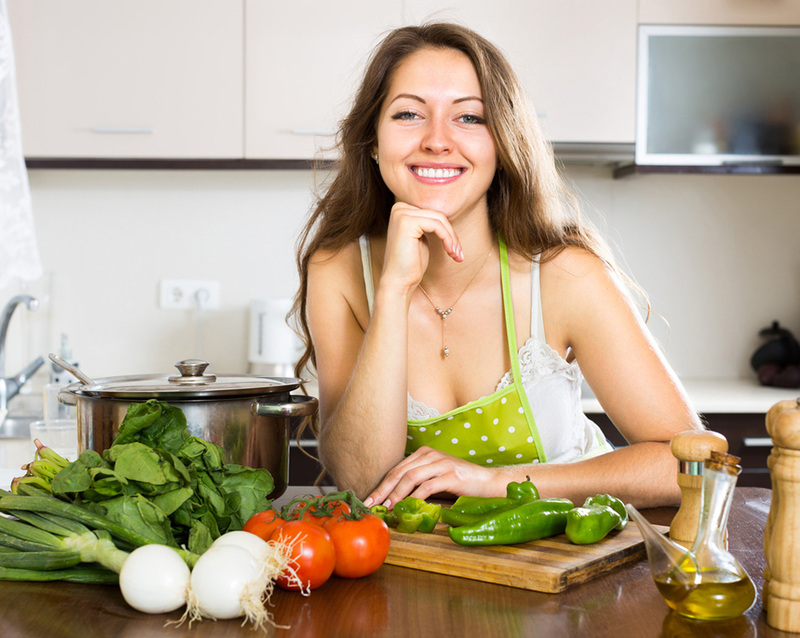 With a size of 7”, it’s not perfect to carry around but just about ideal for any kitchen counter, particularly because it uses water as lubrication, so you’ll always have that at hand. This particular whetstone doesn’t work well with serrated blades and scissors, but it does the trick with ceramic as long as you know what you’re doing. Regardless of the type of stone you’re using, keep in mind the grit. It will sharpen your blades fantastically but try not to use too much force when using it, as it will damage both the stone and the knives. What's The Best Sharpening Stones? 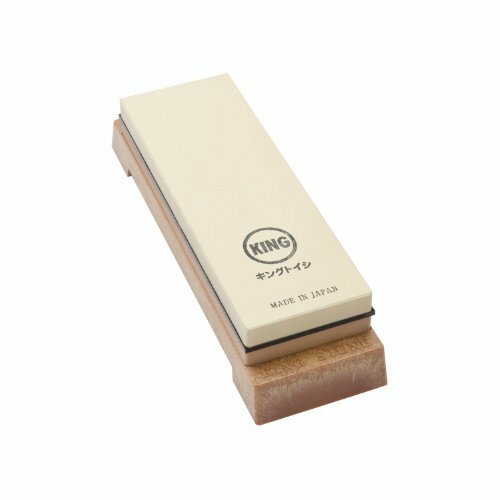 ​Though many of the sharpening stones are functional enough, the King Two Sided Sharpening Stone stands out as the clear winner. 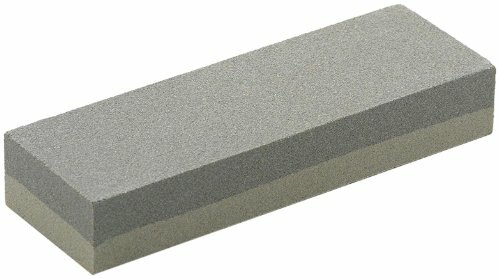 I strongly recommend this sharpening stone because it combines all of the benefits of the previous sharpening stones into one affordable package. These are some of the most common whetstones out there. They use a special kind of oil as lubricant, hence the knife, and they’re usually the most affordable sharpening stones you can find. Since they use oil, you need to wash them well after using as the oil can create a film and cause the rock to start smelling bad. These are some of the most popular whetstones out there, as well as the most versatile thanks to the fact that they use water as lubricant. Very effective at creating some of the most detailed edges, this type of whetstone is the most popular, even though they’re usually more expensive than their oil cousins. As you can imagine, the most expensive type of the trio. Diamond sharpening stones offer the best quality a whetstone can possibly have, as well as the most sturdiness. That said, there’s such thing as “too much of a good thing” and diamond stones are so hard they can damage your knives and blades if you’re not careful.